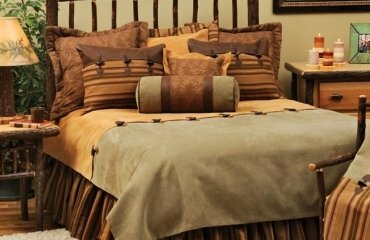 Canopy beds are known for the luxurious look and the comfort they offer. Moreover, they remind us of leisure and romance. 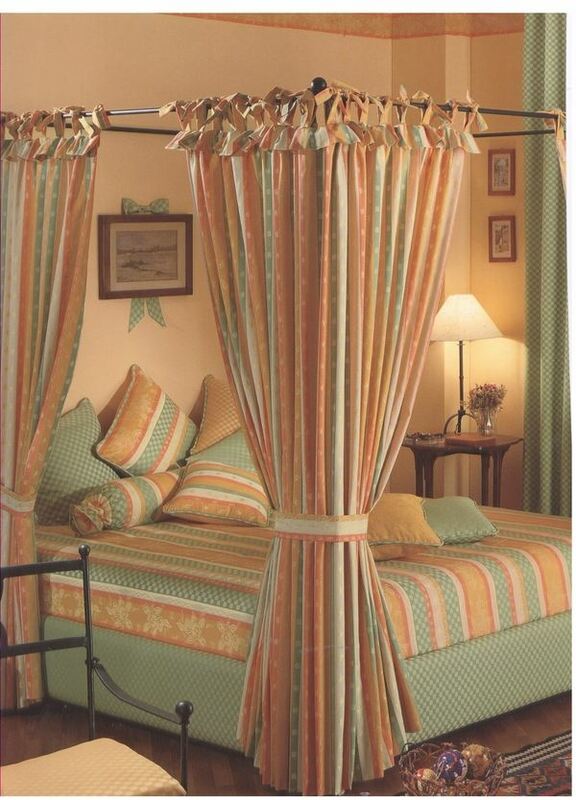 The curtains create a place of warm intimacy in our nights and a feeling of safety and protection. 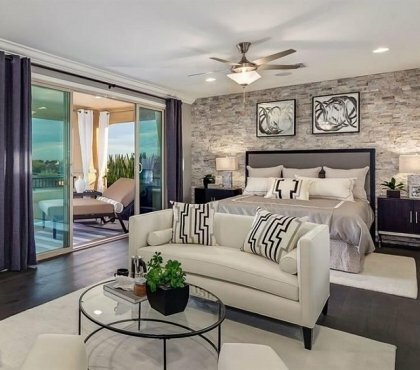 Who doesn’t want to add some romance and wake up each morning surrounded by a swirl of pretty fabric. 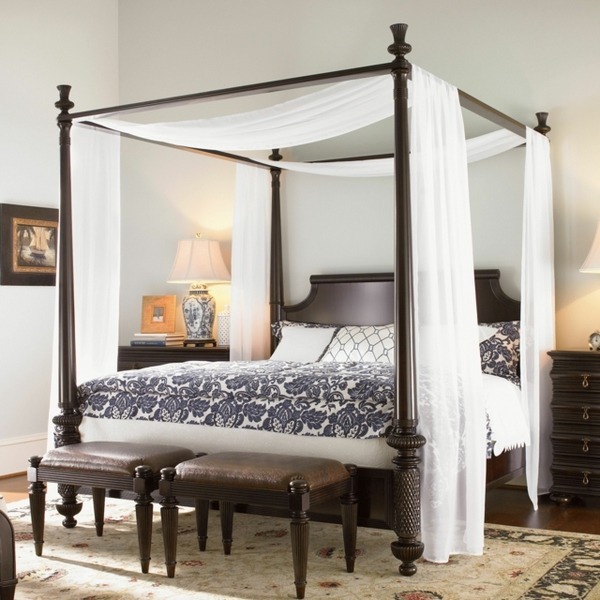 A canopy bed is a beautiful centerpiece in the bedroom that creates a fairy-tale look and helps you sleep by blocking out light and noise when the curtains are pulled closed. 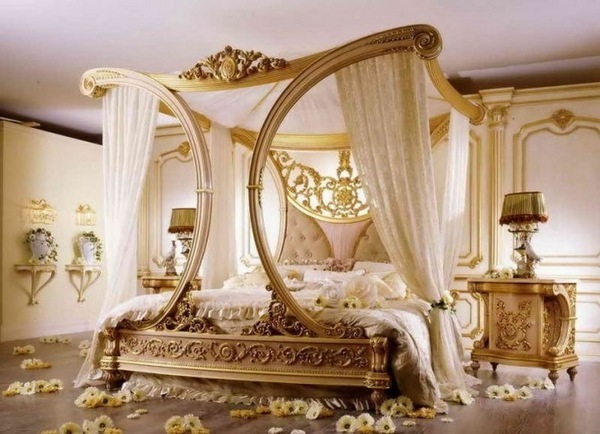 We all know that the bedroom is very important to our well-being and peace of mind and canopy beds are just so romantic, and elegant, and beautiful, and dreamy… you can’t help but love them. 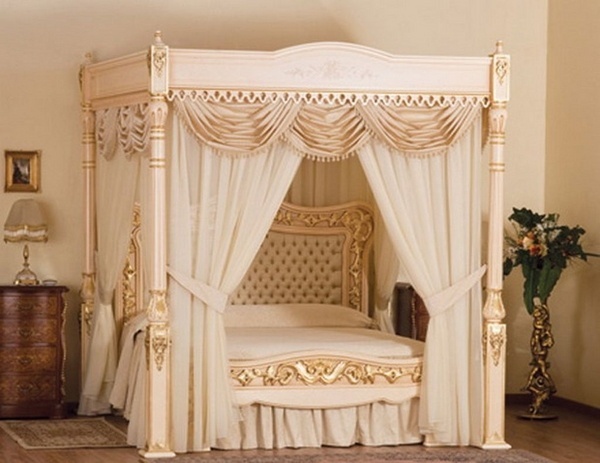 A fabulous classic canopy bed is traditionally connected with luxury and splendour. 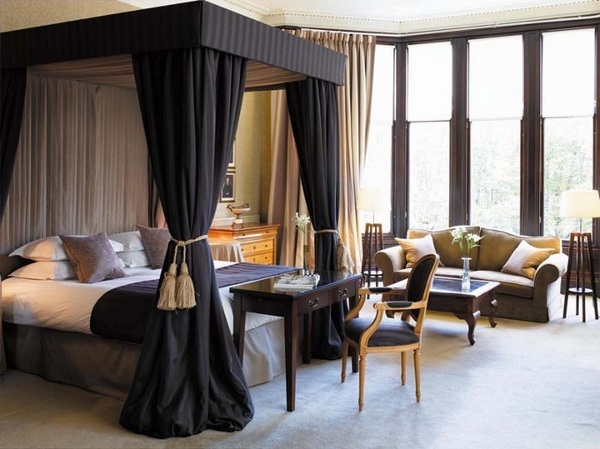 An excess of fine fabrics, ornate frame and posters, exquisite furniture, rich carpets and dramatic canopy curtains – all these elements belong to the classic design which makes us think of royal castles and refined pleasures. 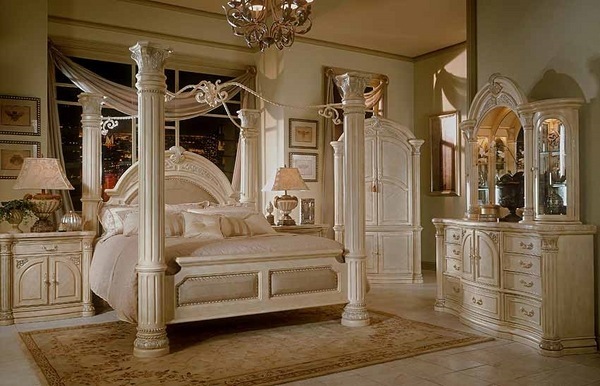 It is true that such bedroom designs require a lot of room space as the bed itself is often quite massive and it is a centerpiece in the design of a luxury bedroom. 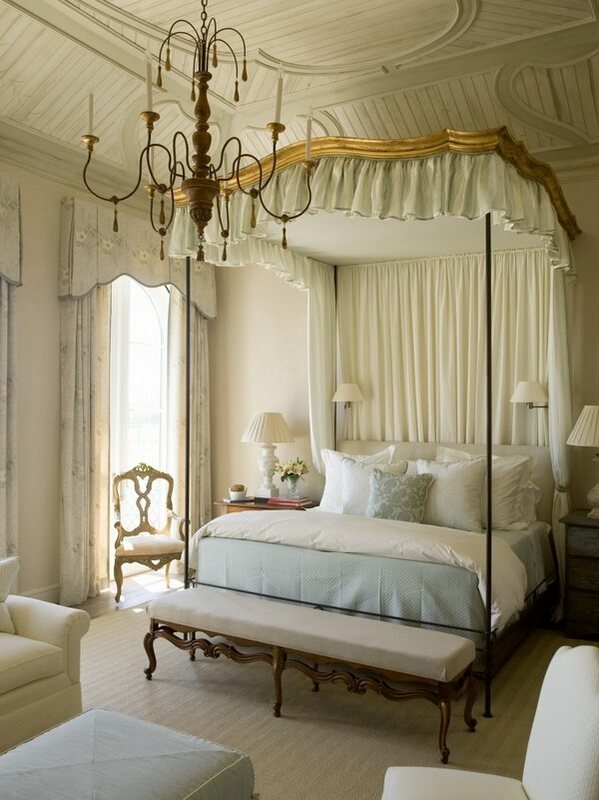 The canopy bed fits not only in a classic room. 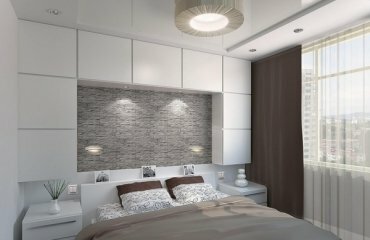 It can have contemporary features to perfectly fit the atmosphere of a modern bedroom. 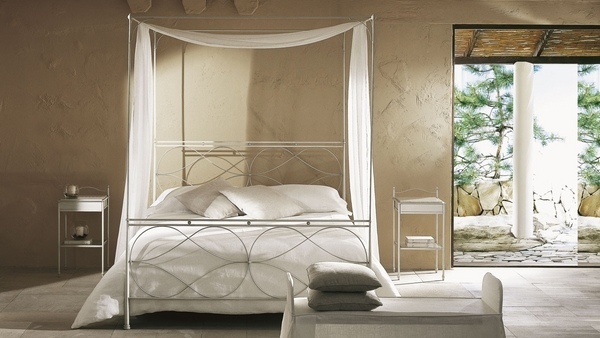 Today canopy beds are back in fashion in contemporary interior designs. 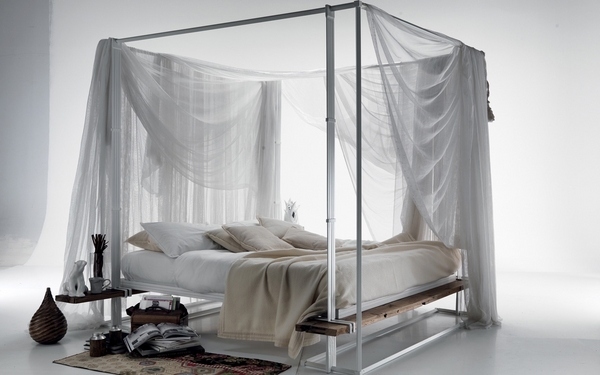 Contemporary canopy beds hide the modernity in the details. 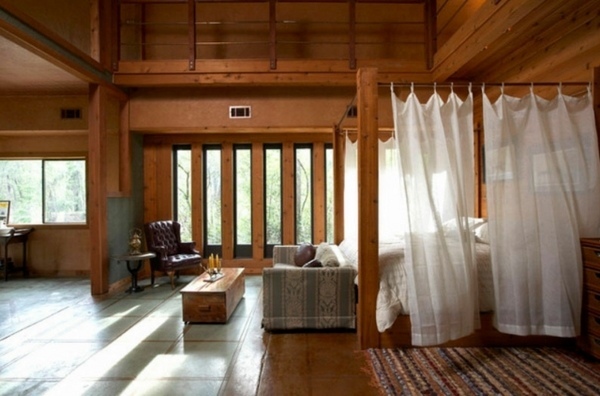 If you have a bedroom with large windows, choose a canopy bed open to contemplate the landscape outside. Small details are also spice up a romantic bedroom with four-poster-bed – for example, lanterns scatter soft light around it. 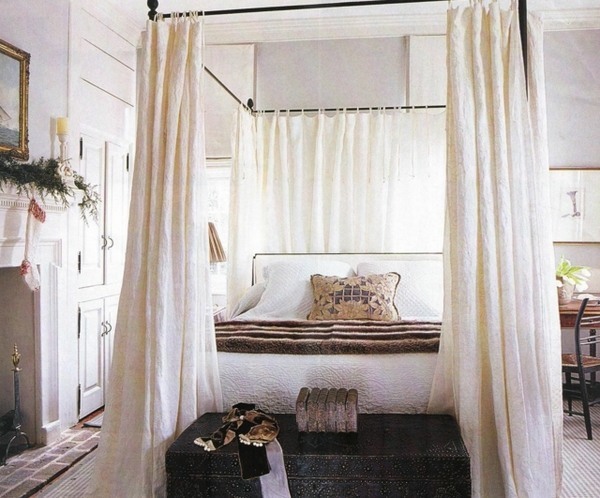 A canopy bed transforms a bedroom into a romantic and intimate escape like nothing else. You may not have floral wallpapers, lace curtains or pink walls. 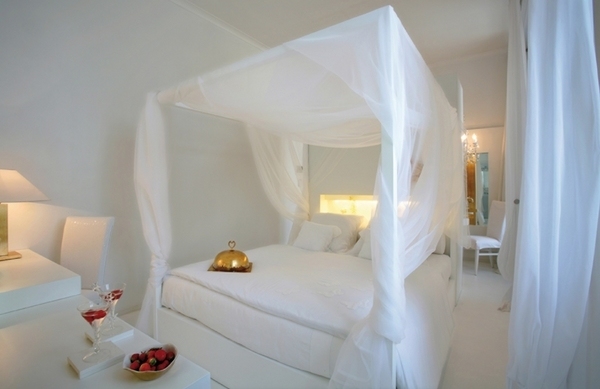 You just need a canopy bed and a flair of the mysterious atmosphere of 1001 nights. 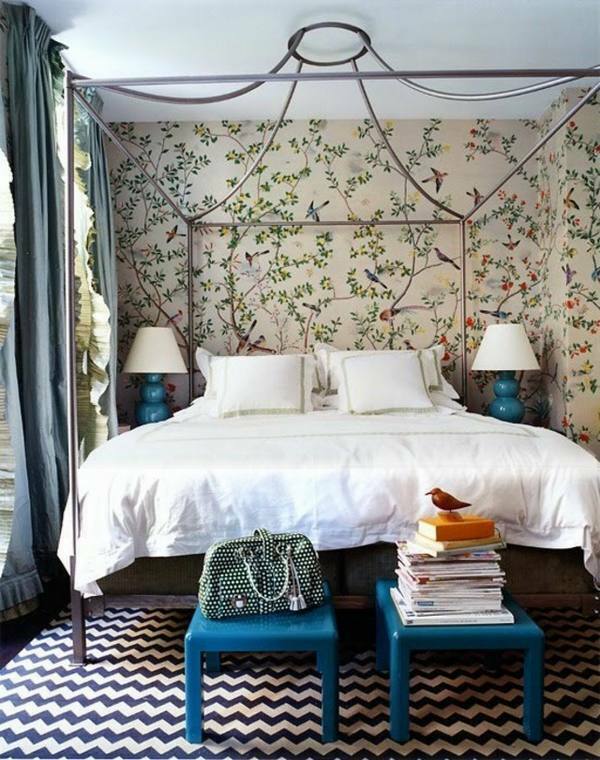 Those who feel particularly creative, can arrange flowers on the bedside table and hang pictures above the headboard. If scented candles are lit, there is nothing in the way of a romantic evening! 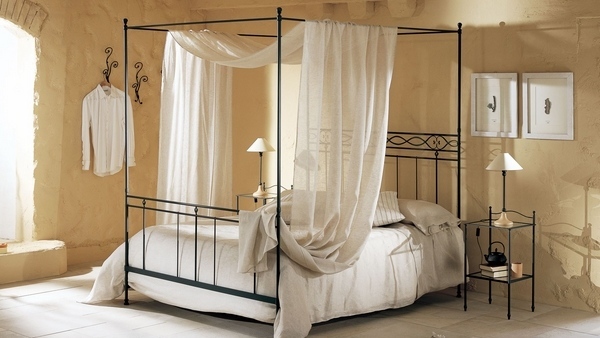 Canopy beds come in many different shapes and sizes. 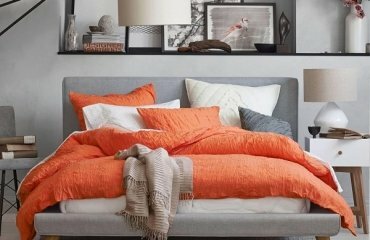 When shopping for a canopy bed there are a few things you should think about. First and more important is to take careful measurements of your room so that you are aware of height and length of the canopy bed. 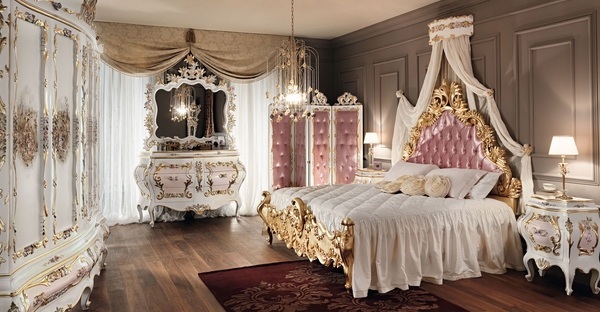 Think what type of style you would like to have – modern, classic, made of wood or with metal frame. Comfort is a very important thing so the mattress must be comfortable. Last but not least is the choice of fabric. It can depend a lot on where you live – it is not recommended to use heavy fabrics if you live in a tropical climate. 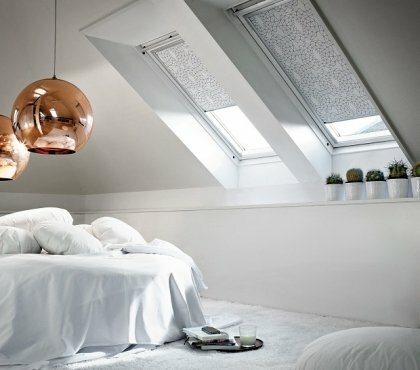 Choose the right type of canopy for your bed. The frameless type features a canopy which is attached to the ceiling or the wall above. 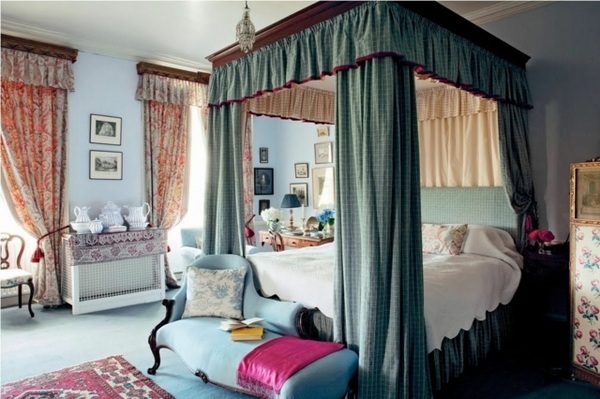 Crown type – a half frame construction is attached to the ceiling and the fabric is mounted on it. 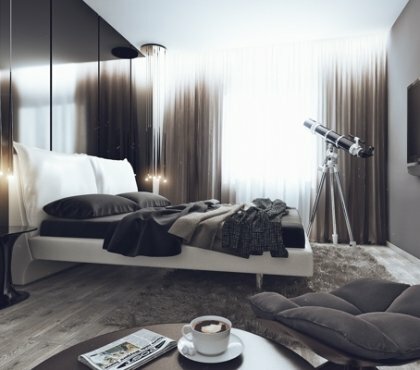 The most popular type is the bed frame with four poles at the corners connected to each other at the top. 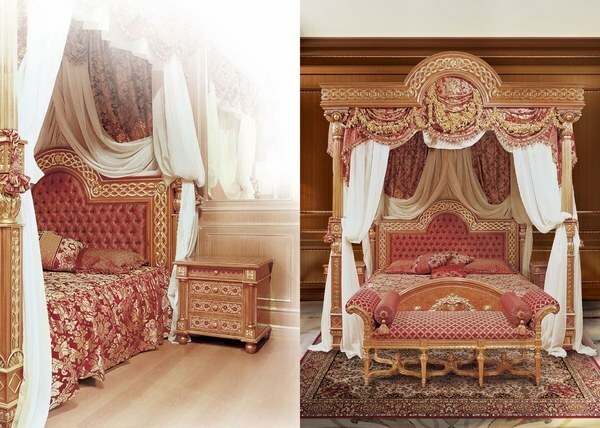 Enjoy the wonderful canopy bed designs in the gallery and ind your dream bedroom!